Corporal Mac Millan was a member of Company C, 1st Battalion, 1st Marines, 1st Marine Division. 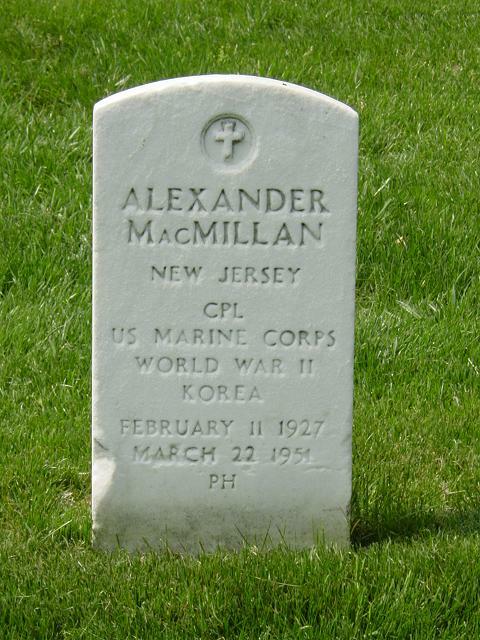 He was Killed in Action while on patrol on Hill 232, near Kohcaan, South Korea by an enemy ambush on March 22, 1951. Corporal Mac Millan was awarded the Purple Heart posthumously.